A joint investigation by the Bureau of Alcohol, Tobacco, Firearms and Explosives and Homeland Security Investigations uncovered a conspiracy in which the participants purchased firearms and ammunition in the United States and illegally smuggled those items into Mexico. The investigation determined that the conspiracy involved at least 70 firearms and approximately 74,880 rounds of ammunition. Soto purchased and transported ammunition on at least two occasions. In December 2015, she purchased 28,500 rounds of ammunition in Phoenix, Arizona. She then transported the ammunition to the United States-Mexico border and provided it to a coconspirator. In January 2016, she purchased 26,000 more rounds of ammunition in Phoenix. Agents arrested Soto while she was transporting this second purchase of ammunition south towards the border. B. Procedural background Soto was charged with two counts of attempting to export ammunition from the United States, in violation of 18 U.S.C. § 554, and one count of conspiracy to export firearms and ammunition, in violation of 18 U.S.C. § 371. The indictment charged that, upon conviction, the firearms and ammunition involved in the offenses would be forfeited. If the firearms and ammunition could not be located or had been transferred to a third party, the indictment charged that the government would seek forfeiture of other property worth no more than the value of the firearms and ammunition in question. respect to which a material misstatement is made is subject to forfeiture because, even though the gun is not “used” in the offense, it is “involved in” it. Id. at 235. The Third Circuit in United States v. Cheeseman, 600 F.3d 270 (3d Cir. 2010), defined the plain meaning of the phrase “involved in” by quoting Merriam-Webster’s dictionary as follows: “(1) ‘to engage as a participant’; (2) ‘to relate closely’; (3) ‘to have within or as part of itself’; and (4) ‘to require as a necessary accompaniment.’” Id. at 278 (quoting Merriam-Webster’s Collegiate Dictionary 660 (11th ed. 2003)). In that case, the defendant pleaded “guilty to violating 18 U.S.C. § 922(g)(3), which criminalizes possession of firearms and ammunition by an unlawful user or addict of a controlled substance.” Id. at 272. The defendant argued on appeal that the district court’s authorization of the forfeiture of firearms and ammunition pursuant to § 924(d)(1) violated that statute because the firearms and ammunition were not “involved in” the crime. Id. The Third Circuit disagreed. It held that the firearms and ammunition were “involved in” the crime because “without the firearms, there would have been no crime.” Id. at 278. Referring to Merriam-Webster’s definition, the court held that the firearms were “related closely to and were a necessary accompaniment to the crime charged.” Id. Similarly, in Soto’s case, the firearms and ammunition were involved in the crimes of attempting to export ammunition and conspiracy to export firearms and ammunition because, without the firearms and ammunition, there would have been no crime. (E) has been commingled with other property which cannot be divided without difficulty. paragraph (1), the court shall order the forfeiture of any other property of the defendant, up to the value of any property described in subparagraphs (A) through (E) of paragraph (1), as applicable. which are argued specifically and distinctly in a party’s opening brief.”). And even if we were to review Soto’s challenge that the indictment lacked adequate notice of forfeiture, we would do so under the plain-error standard because Soto did not raise this argument before the district court. 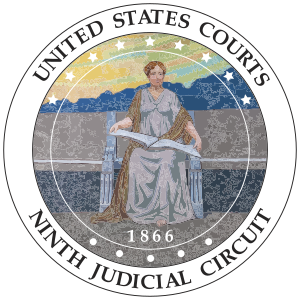 Rule 32.2(a) of the Federal Rules of Criminal Procedure prevents a district court from ordering criminal forfeiture unless the indictment includes notice that the government will seek forfeiture “as part of any sentence in accordance with the applicable statute.” Other courts have held that the notice requirement of Rule 32.2(a) is met even if the indictment contains a forfeiture allegation that cites the wrong statute. See, e.g., United States v. Silvious, 512 F.3d 364, 369–70 (7th Cir. 2008) (“Listing the wrong forfeiture statute did not prevent Silvious from receiving notice under Rule 32.2(a).”). Here, the indictment informed Soto that the government intended to seek forfeiture. And the preliminary and final forfeiture orders correctly cited 18 U.S.C. § 924(d), 28 U.S.C. § 2461(c), and 21 U.S.C. § 853(p)(1)(B) as the applicable provisions. So even though the indictment cited the wrong statute, Soto was nevertheless provided with adequate notice of forfeiture. The district court therefore did not commit plain error regarding the adequacy of notice. Outcome: For all of the reasons set forth above, we AFFIRM the district court’s forfeiture order.